Our many years of experience in producing Annual Reports, Prospectus and corporate capability brochures means you can be assured of a document that reflects the values of your organisation and speaks to your audience. A successful report, brochure or proposal requires a deep understanding of your key message and the intended audience in order to present a compelling document. We take the time to investigate your messages and always seek to involve you in the design process by offering a range of creative solutions for your consideration. With our extensive expertise in typography, photo retouching, image sourcing, original photography and print production, we create the most efficient and cost-effective solution for your communication needs. Complex print production can trap the inexperienced - but at Sydney Branding Services; our many decades’ of experience in print design and production, combined with our eye for detail, means that your printing will always be rendered perfectly. 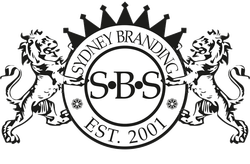 At Sydney Branding Services we have the experience to project-manage large complex projects including corporate identity implementation or your annual reports. We can look after all details, including design, artwork, pre-press, proofing, and dispatch. We have been providing professional design and production services to our clients in the Sydney region since 2001, with many clients remaining with us since our inception.